AJMERA REALTY AND INDIA LTD is an EXCELLENT builder. 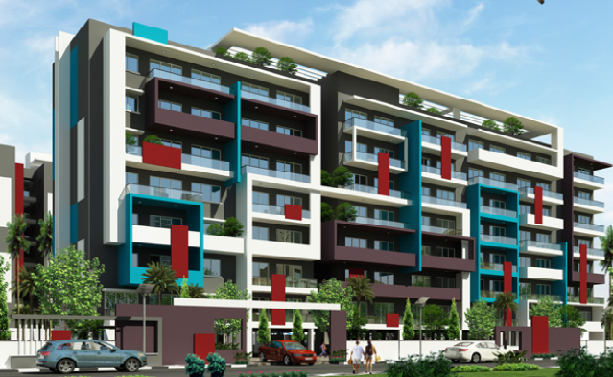 It has 6 on-going projects with total inventory value of Rs.10053 Cr and 3 completed Projects. Ajmera group is recognized as one of India's leading Real Estate company. Providing high quality living and working spaces, with a strong presence in and around Mumbai, Pune, Rajkot, Surat, Ahmedabad, Bangalore as well as an International project in Bahrain. With 50 years exposure, Ajmera has earned the trust of over 40,000 families. Quality, Reability, Innovative construction, Technology, Excellence, Comfort, Luxury, Aesthetic appeal and Value for your money are few attributes that distinguish Ajmera from the rest. All this has been possible due to our endeavors to pursue professional team work coupled with the dedication to su cceed.